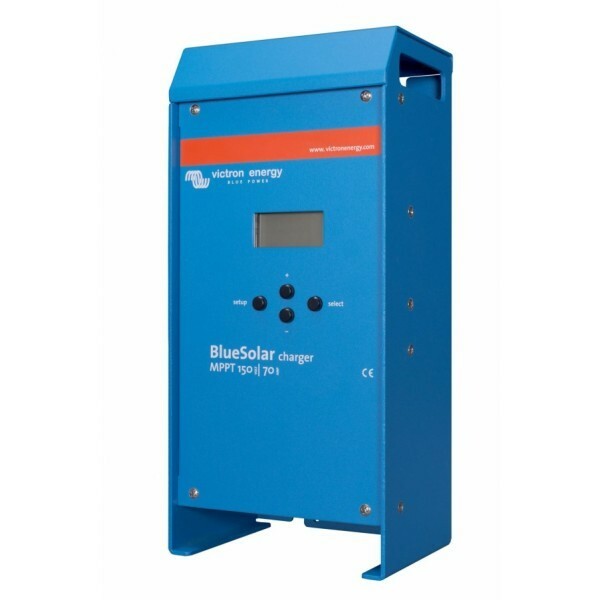 The BlueSolar 150/70-MPPT charge controller is able to charge a lower nominal-voltage battery from a higher nominal voltage PV array. The controller will automatically adjust to a 12, 24, 36, or 48 V nominal battery voltage. The MPPT system (Max. Power Point Tracker) ensures optimal ratio between current and voltage even in partial shading conditions and provides up to 30% higher yields in cloudy weather. More about Controller Victron BlueSolar MPPT 150/70 - 12/24/48V, 70A.